It’s grislier than its big-screen inspiration – and that’s only one of the reasons you won’t be able look away. There’s no wood chipper, no botched kidnapping, and no North Dakota. 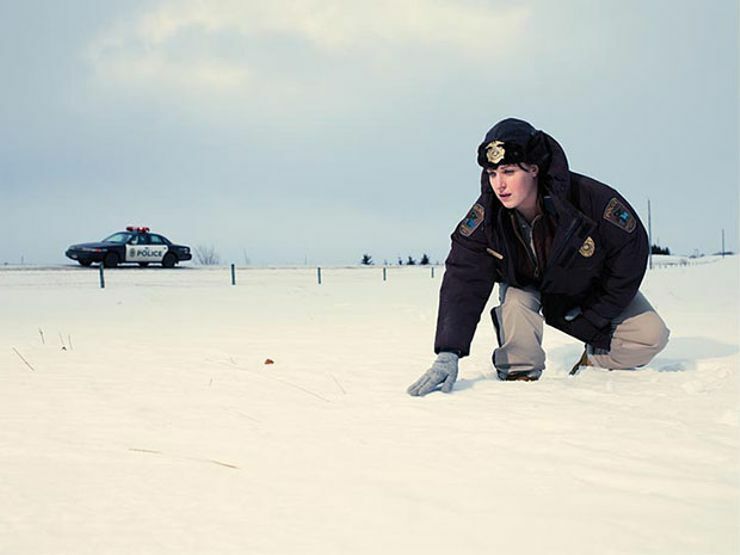 But this Coen brothers-produced TV spinoff set in – you betcha’ – snowy Minnesota entices fans of the original movie with it’s twisted tale of a cowardly insurance salesman, a ruthless drifter, and the deadly chain reaction they ignite. We’ll try to keep spoilers to a minimum, but here’s the gist. Lester Nygaard (Martin Freeman) leads an intolerable existence as a floundering businessman and husband to a vitriolic woman he can’t help but daydream of killing. After getting beat up by an old high school bully, he encounters hired hitman Lorne Malvo (Billy Bob Thornton), who decides to do Nygaard an unsolicited favor. When Nygaard turns to Malvo after his own crime of passion, the two become entangled in an alliance that only manages to produce more dead bodies. Piecing together the puzzle over 10 episodes is clever, small-town deputy Molly Solverson (Allison Tolman), cautious police officer Gus Grimly (Colin Hanks), and two witless FBI agents (comedians Keegan-Michael Key and Jordan Peele). They pursue the bloody trail through harsh Midwestern winters (expect tense scenes on a frozen lake and in a white-out snowstorm) and encounter handfuls of morally corrupt characters along the way. Along with unexpected – and sometimes inexplicable – twists (can someone please explain the dead fish? ), it’s a series you won’t be able to pause until you reach the final scene. Bottom line: Tune in for the show’s title, stay for the inspired plotlines and talented ensemble cast. Track down the season at amazon.com.